The fate of Raoul Wallenberg, who saved thousands of Jews in the Holocaust and was acknowledged as a Righteous Among the Nations, remains unknown to this day. When the young Swedish businessman Raoul Wallenberg accepted an official diplomatic assignment in July 1944 to protect the remaining Jewish communities in Hungary, he could not know that just six months later he himself would fall victim to violence. In January 1945, advancing Soviet military counterintelligence units detained him and his driver, Vilmos Langfelder, and transferred both men to Moscow. Since then the full circumstances of Wallenberg’s fate remain unsolved. 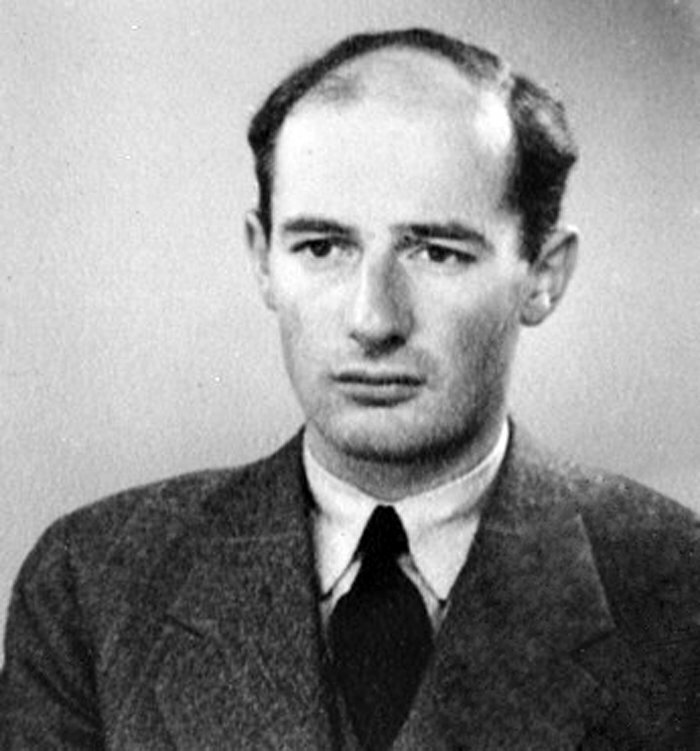 Wallenberg was acknowledged as a Righteous Among the Nations by Yad Vashem for his brave actions to save many thousands of Jews by taking advantage of his diplomatic position in Hungary during the height of the Holocaust there. Despite the interest that his special story and character have drawn, today, more than 70 years later, crucial gaps remain in the official Wallenberg case record. The continued existence of these “white spots” is in and of itself revealing. Aside from documentation that could answer the question of what exactly happened to Wallenberg during the crucial summer of 1947 in the Lubyanka Prison in Moscow, this includes questions about Wallenberg’s personal and professional background before going to Budapest; his selection for the humanitarian mission; his ties to his famous relatives, the Wallenberg family (especially the bankers Marcus and Jacob Wallenberg); and Raoul Wallenberg’s activities and contacts in Hungary in 1944. Wallenberg’s selection for the dangerous task in the late spring of 1944 was in many ways a logical choice. As a member of the powerful and influential Wallenberg business family, Raoul had excellent connections to the highest economic, diplomatic and intelligence circles in Stockholm. The fact that he had been educated in the US made him an attractive choice for Iver Olsen, the US War Refugee Board representative in Stockholm. Olsen’s association with the Office of Strategic Services and his vigorous investigation of the Wallenberg business sphere for its continued trade with Nazi-occupied territories made his selection of Raoul Wallenberg all the more poignant. Aside from aiding Budapest’s Jews, Wallenberg’s mission clearly also served other aims, such as the protection of Swedish/Allied business and political interests in Hungary, with the overarching goal of limiting future Soviet influence in the country. There have been recent allegations that Wallenberg may have worked in some capacity for Swedish intelligence during the war. Just as interesting is the question whether Jacob Wallenberg groomed Raoul for a number of special tasks involving international trade. Aside from securing important supplies for the Swedish wartime economy, this included the safeguarding of assets of friends and business associates in Hungary, including those of the wealthy industrial family of Manfred Weiss. Raoul’s extensive post-war plans for the creation of an organization devoted to the restitution of Jewish property and general reconstruction of Hungary may have served similar intentions. 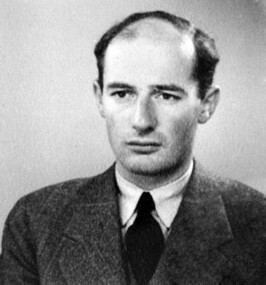 Raoul Wallenberg’s extensive contacts with the Hungarian resistance, in close cooperation with Allied intelligence services in both Budapest and Stockholm, and the deals he made in order to save lives could have aroused Stalin’s ire. We should remind ourselves that the current gaps in the Wallenberg case could almost certainly be filled by documentation that has been preserved in Russian archival collections. The exact reasons why none of this information has been released so far constitutes a question of considerable importance. For example, it has never been revealed what Wallenberg’s diplomatic colleagues, including Swedish minister Carl I. Danielsson, first secretary Per Anger and Lars Berg told Russian interrogators about Wallenberg’s activities when they were themselves briefly detained – and later released – by Soviet officials in Budapest in March 1945. The profound passivity of the Wallenberg family in the aftermath of Wallenberg’s disappearance also continues to raise important questions. For years, the Russian government has promoted the notion that no additional documentation with any direct relevance for the question of Wallenberg’s fate exists in Russian archives. Yet there are growing indications that Russia’s release of documentation has been highly selective and that Russian officials as early as 1991 intentionally withheld key information in the Wallenberg case from investigators, in some instances apparently with the tacit knowledge of Swedish officials. The withheld documentation includes papers that could help to properly identify “Prisoner No. 7,” who was interrogated in Lubyanka Prison on July 22 and 23, 1947, and who, according to the archivists of the Russian Federal Security Service, may have been Raoul Wallenberg. If confirmed, it would mean that Wallenberg was alive six days after his official death date of July 17, 1947. In 2012, Russia’s Constitutional Court passed a landmark decision, finding that – with some important exceptions – historical records should not remain classified longer than 30 years. In order to build on this decision, international Wallenberg experts in 2015 launched the Raoul Wallenberg Research Initiative (RWI-70) to pool all available expertise and seek direct access to all relevant records that remain classified in Russian and other international archives, including Sweden. It is a little-known fact that under Sweden’s formal classification guidelines some information can remain secret for up to 70 years. Private archive collections, such as those maintained by the Wallenberg family, pose serious additional hurdles for researchers. Access to this and other documentation would allow scholars to deepen their understanding of Raoul Wallenberg’s mission; the halfhearted nature of the official Swedish efforts on Wallenberg’s behalf; why the US government chose not to act; and why 70 years after his disappearance the Russian government cannot reveal the full details of his fate. This is an abbreviated version of an article that first appeared in a special edition of Göteborgs Handels- och Sjöfartstidning, September 24, 2016. Dr. Vadim Birstein, a biologist and historian, was a member of the first International Commission on Raoul Wallenberg headed by Prof. Guy von Dardel, Wallenberg’s halfbrother, in 1990-91. He is the author of the books The Perversion of Knowledge: The True History of Soviet Science (2001) and SMERSH, Stalin’s Secret Weapon: Soviet Military Counterintelligence in WWII (2012), which received the inaugural St. Ermin’s Intelligence Book Award. Susanne Berger is a historical researcher. She is the founder and coordinator of the RWI-70.